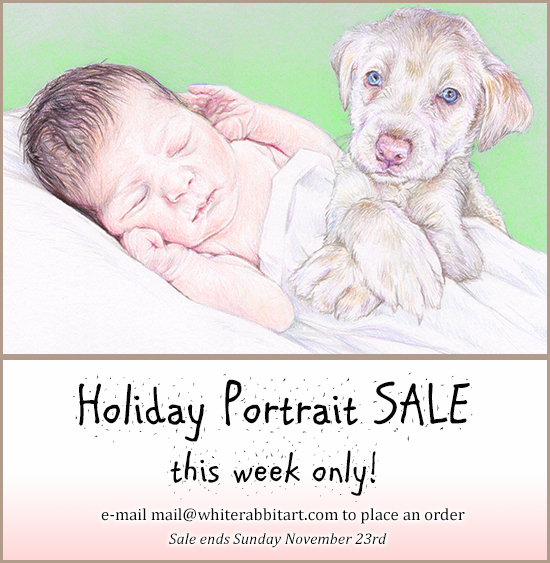 Holiday Portrait SALE this week only! 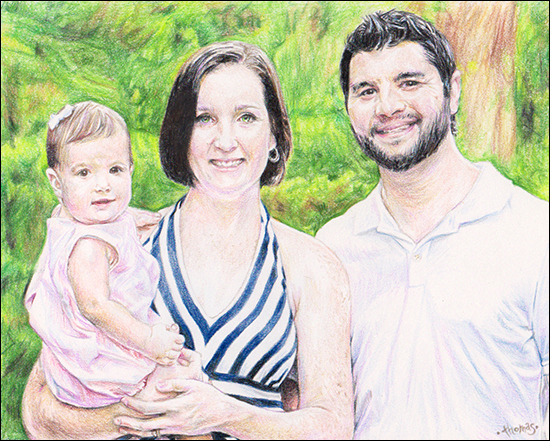 Here is an informational post concerning the ordering of a portrait and the process involved. 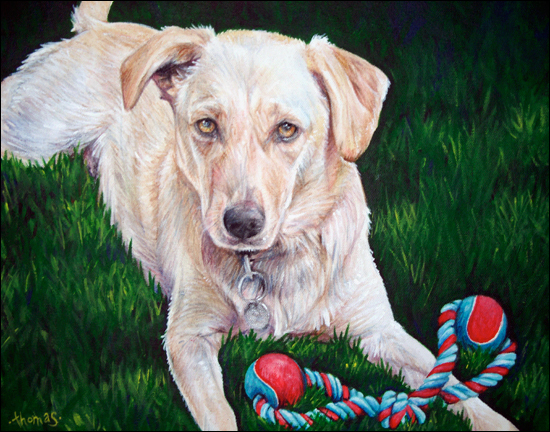 I do people and pet portraits mostly but will do commissions and can get you a quote for any kind of artwork desired whether it’s traditional or digital. 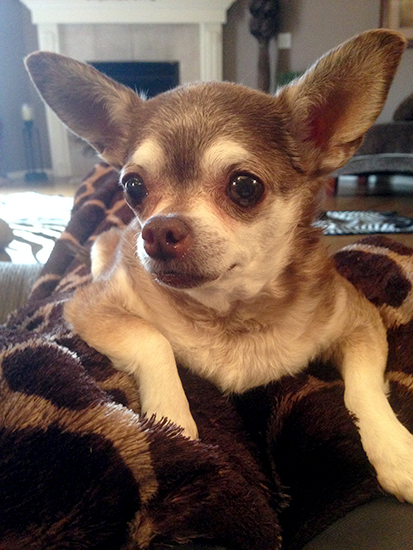 One of the main questions that I get asked is if I work from the actual pet/person or from a photo. The answer is I work off of pictures. 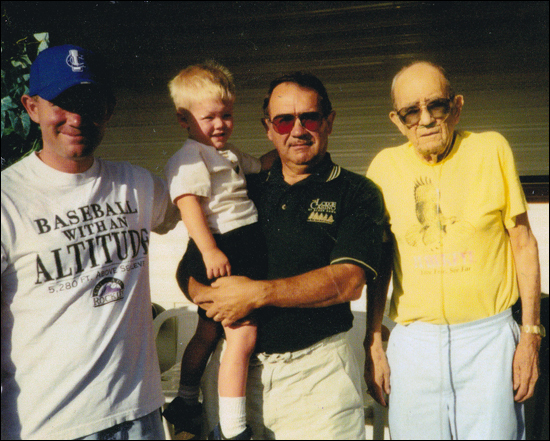 The pictures can be e-mailed or mailed to me. 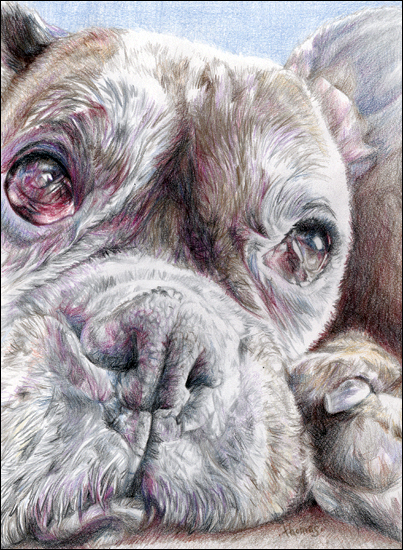 It is good to send me more than one picture so that the additional reference pictures can be used for fur color, eye color or any distinctive markings. Although if you only have one good photo that is fine. One of the pictures will be used as the main reference picture. 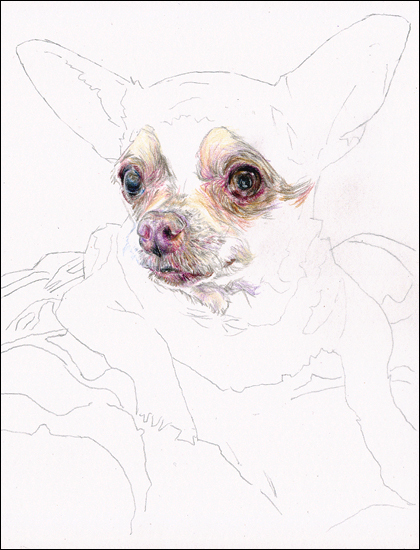 In the case below the main reference picture is of Halle the chihuahua. It is a good idea to send as good a quality photo as possible since they are the best to work from and make the best portraits. Here is a few ideas that I have done in the past that work well in certain circumstances. – Will take individual pictures and lay them out on the computer. This works great for family pictures or more than 2 dogs. It’s hard to get more than one dog to pose. 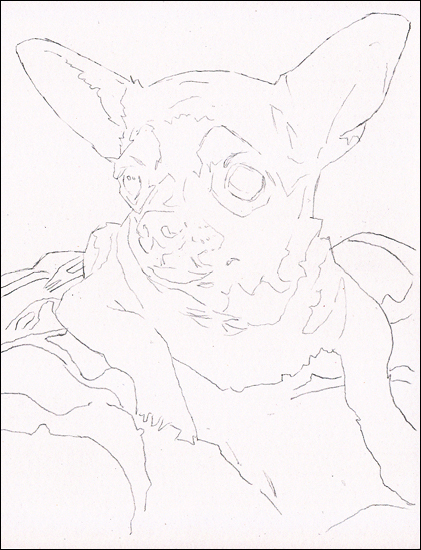 Also will have a mock layout for you to view before the portrait is even started. 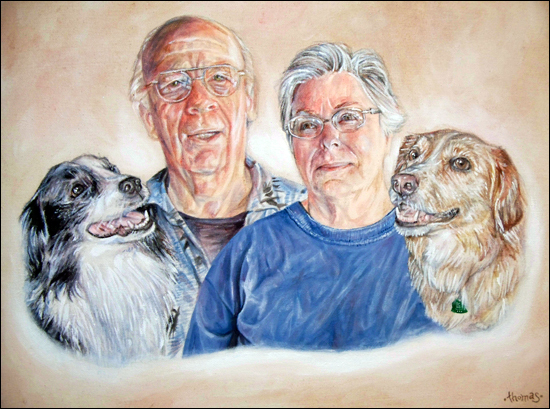 – Another thing that can be done is to add a family name or your pet’s name on the portrait. 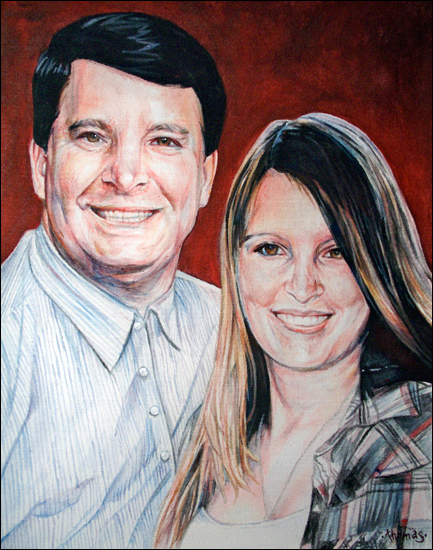 Also have done quotes or song lyrics on a portrait before. 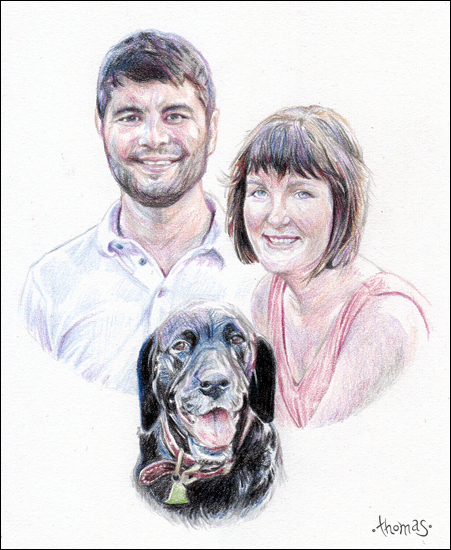 One of the perks with having your portrait done by me is I will send you e-mail updates so you can see the work in progress. This also allows you to address any concerns or helps me make changes so you get the best portrait possible. You also feel like your part of the process. 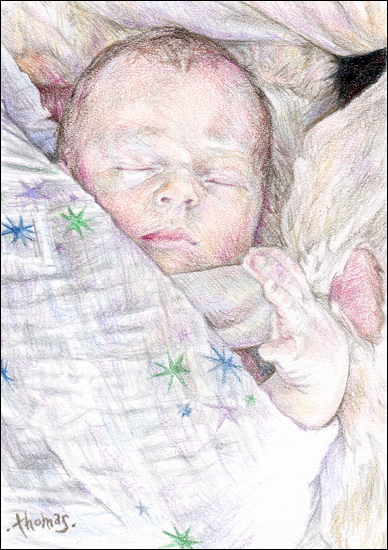 Once I receive all the info and things needed from you to get started you will receive an e-mail with the initial pencil sketch. 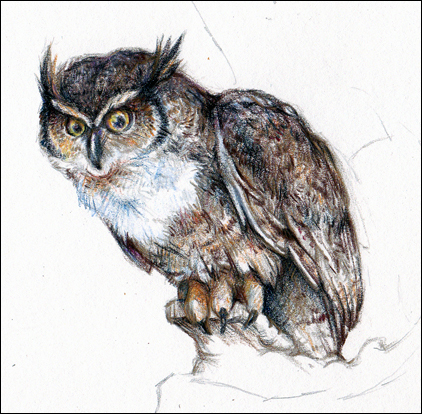 This is a very loose and rough sketch which basically is a reference to get started with the medium. 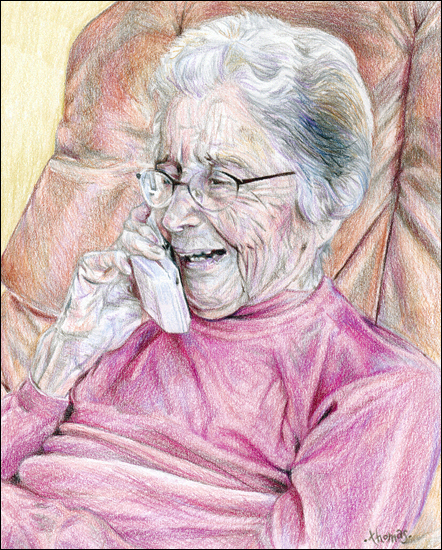 After you have ok’d the initial pencil sketch the second e-mail will show you some progress on your portrait. 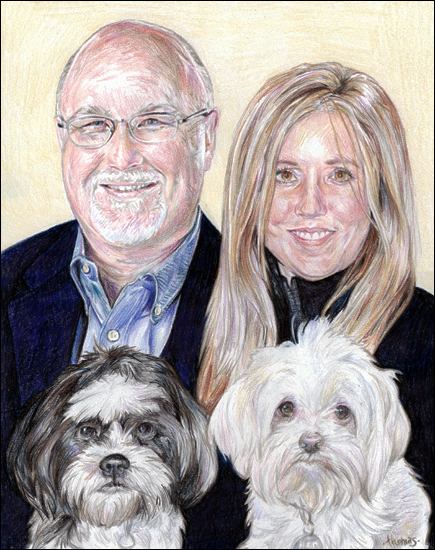 In this case the client went with a colored pencil portrait. Will usually start working from the eye area and then move out from there. 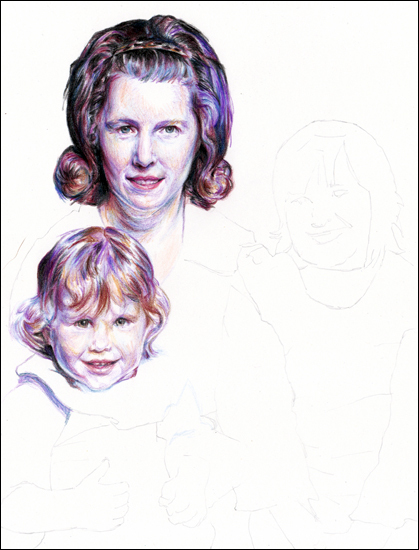 In the 3rd e-mail update you will see more progress on your portrait. 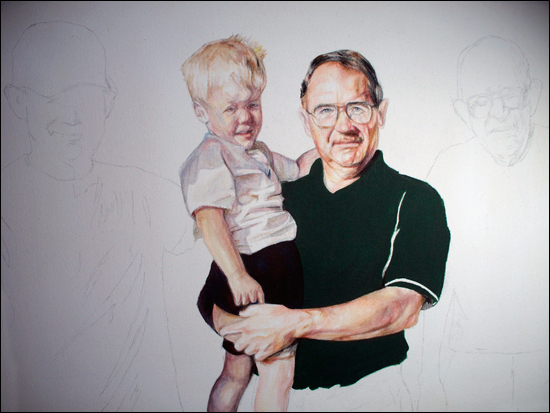 In this example you can see that I’ve finished Halle’s head and am getting ready to start working on his body. Sometimes the 4th e-mail update isn’t the final update but in this case it was. 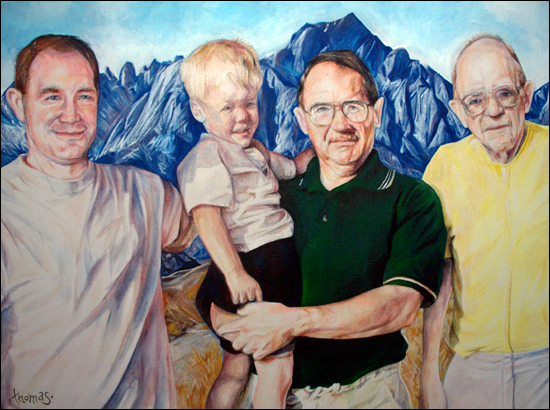 The number of e-mail updates will depend on the complexity and size of your portrait. 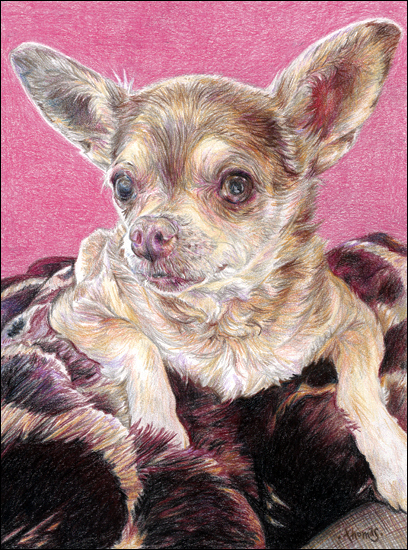 You’ll notice in the final Halle the chihuahua portrait that the background is pink. 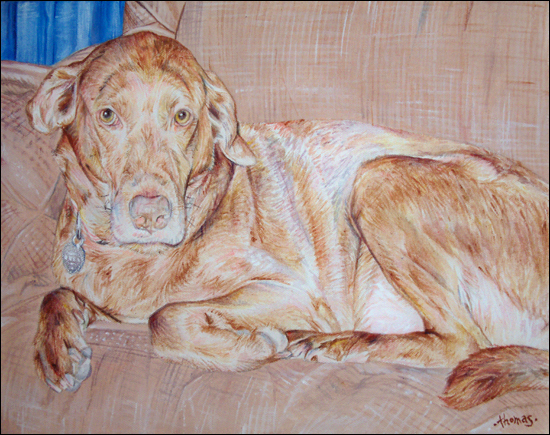 The background is usually the last thing that I do and the client will choose the color unless they want me to choose. You can let me know what color background you would like as early as when you send me the photos. Will do gradient, grass or detailed backgrounds if desired. 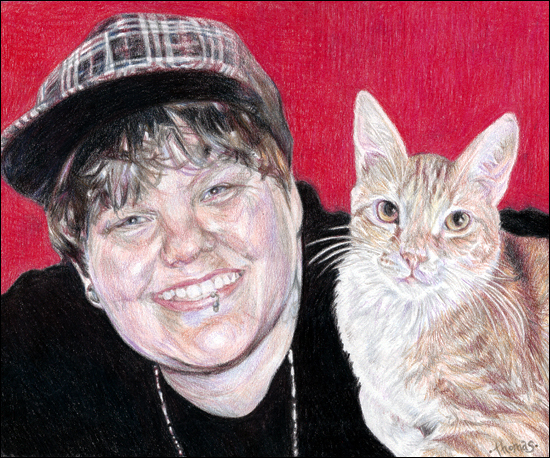 Also since the portrait is finished you can choose what color of mat you would like. The mat is basically the border around the picture that goes into a frame. This mat will be cut to a standard frame size. 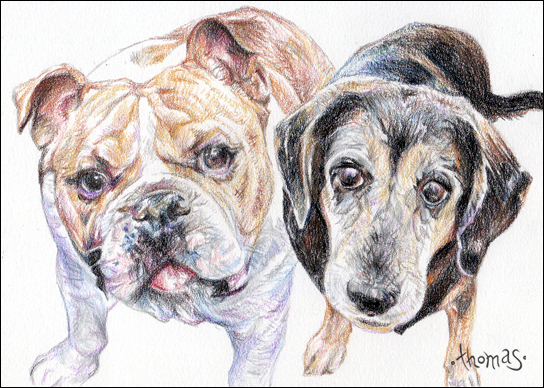 So if you order a 8 x 10 portrait it will be matted for a 11 x 14 frame. This works great because once the portrait is in your hands all you have to do is put it in a frame. 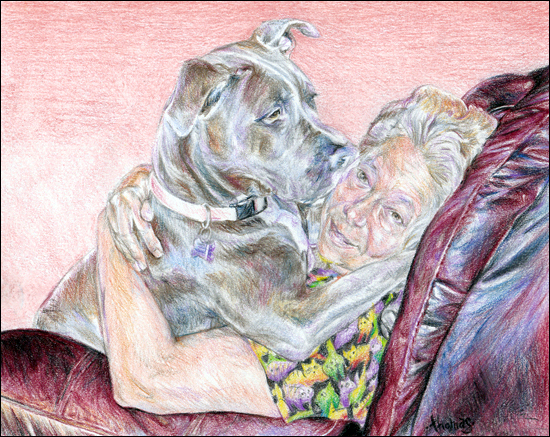 Only the pencil and colored pencil portraits are matted. If you order an acrylic painting the sides of the painting will be painted so you can hang it without a frame if desired. The canvases are hand stretched and have a wire on the back for easy hanging. You can also frame the painting if you want. 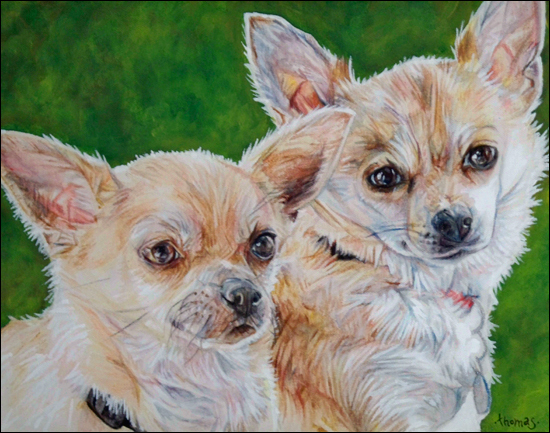 Once the portrait is finished and matted will send the portrait out via usps priority mail. Will send you another e-mail letting you know the expected arrival date and give you a tracking number to track the package. 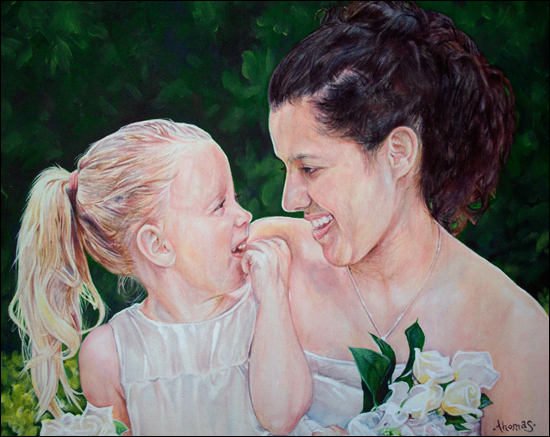 Hope you found this information helpful and hope to do a portrait for you in the future!!! Here is the newest painting that I’ve finished. It was done from 4 different pictures in which I layed out on the computer before starting. 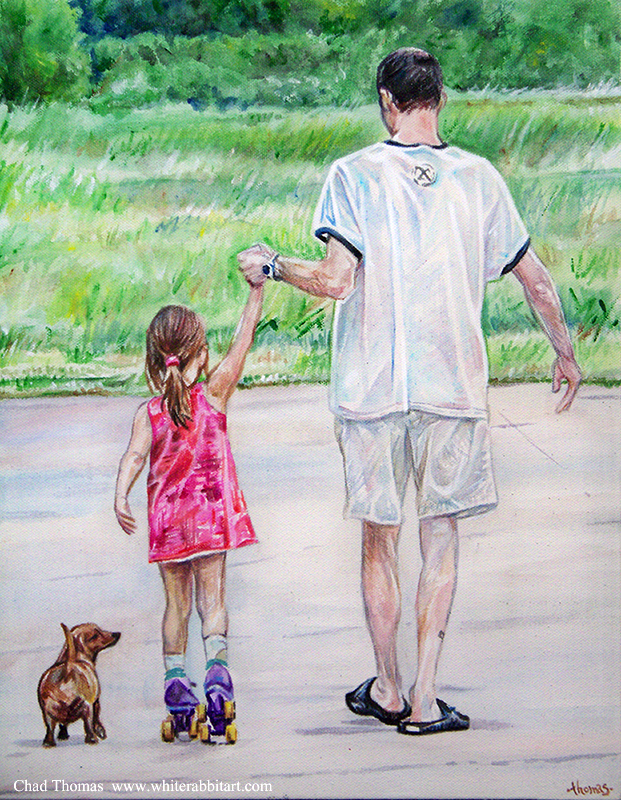 The size of the painting is 16 x 20 and done in acrylic paint. 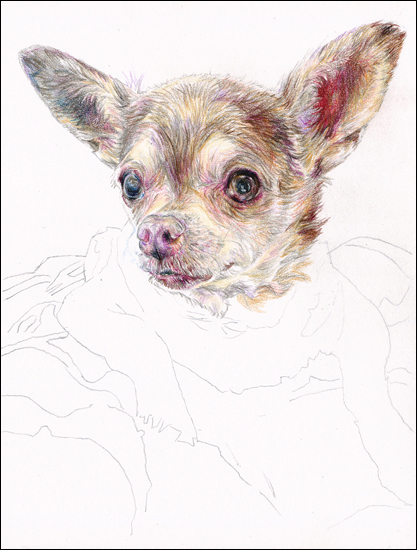 Here some progress on the recent colored pencil portrait done from an old photo. 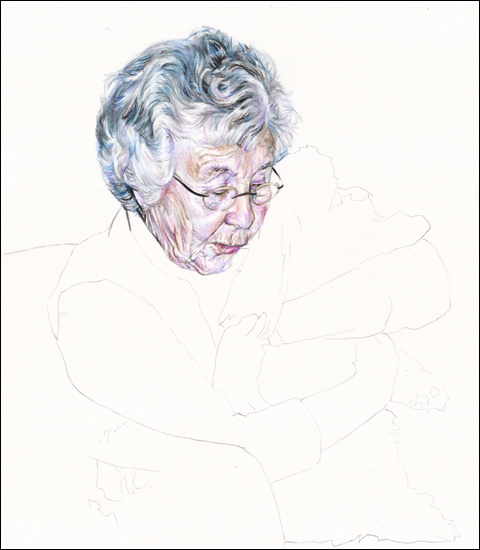 Also started the colored pencil portrait of an older lady holding a shitzu.